On one of the meetings we discussed how we shall present our project, along with that we had to come up with a name for it. After flipping through many ideas we still couldn’t find one that perfectly described what we were trying to present. I associated our airplanes with pigeons, as pigeon mail was very popular during those times in Russia. 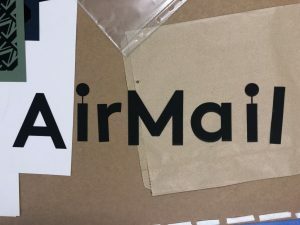 James came up with a point that the name of the project should have the word air in it, and I thinking about pigeon mail suggested that the title should be “air mail”, a mix of both our words.